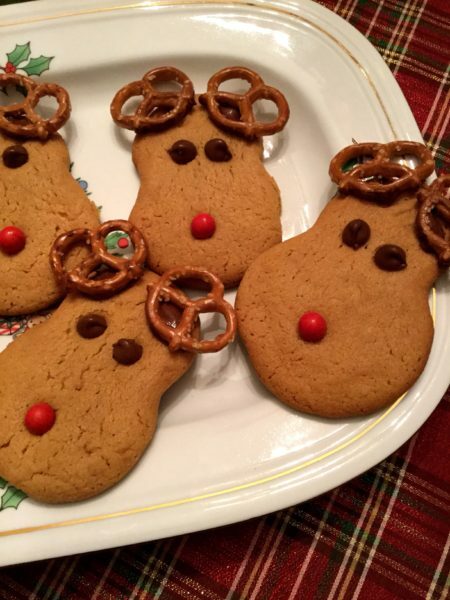 Christmas cookies…yes! 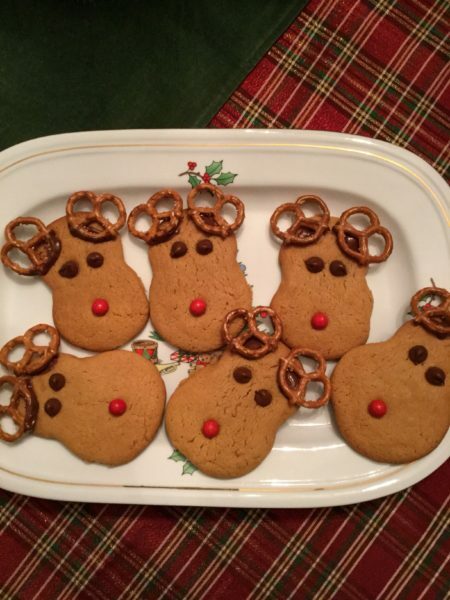 Try these easy reindeers. 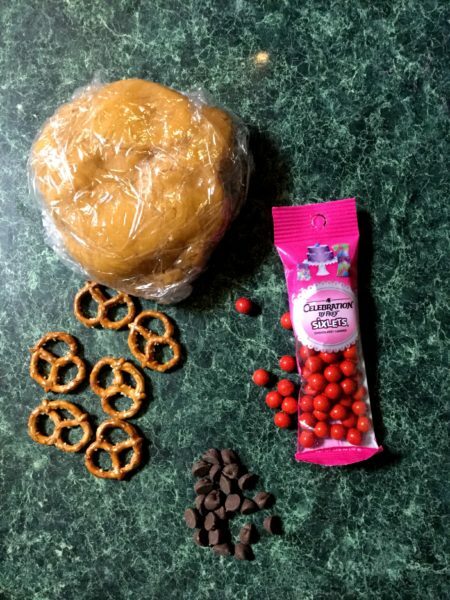 Roll dough in 1 inch balls. Flatten dough ball in the palms of your hand. 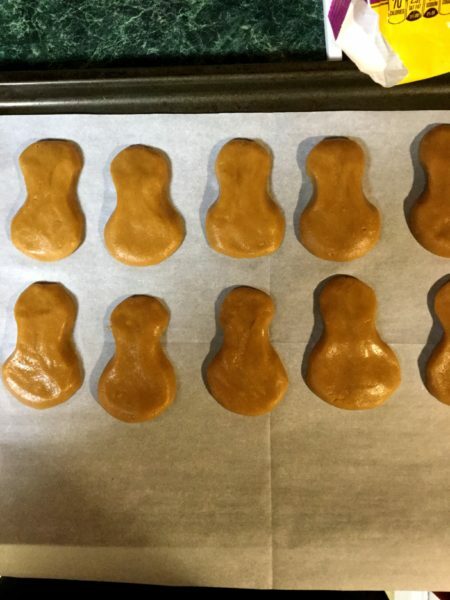 Lay on parchment lined cookie sheets. Mold the dough with your fingers making indentions on both sides (refer to pic). Bake according to the dough instructions. 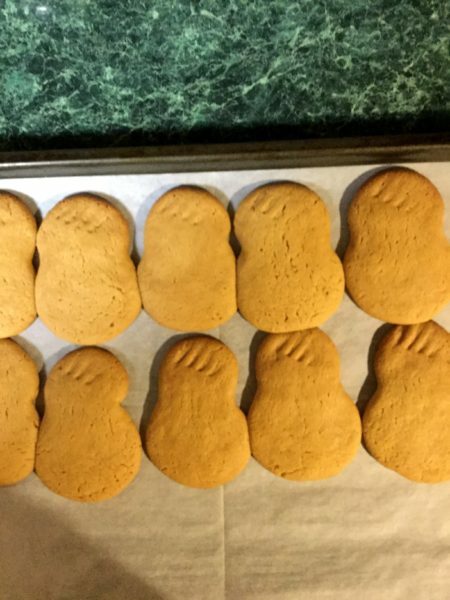 Remove the cookies from oven & while cookies are still hot place the eyes & noses. Dip the backs of the pretzels in the melted chocolate & place on the cookies as antlers.